Most people I know who love kettle corn, loves it from a bag. Then, there’s the others who associate it with fond memories of fairs gone by. Until a few weeks ago, I’d never heard of a homemade version of the tasty treat. 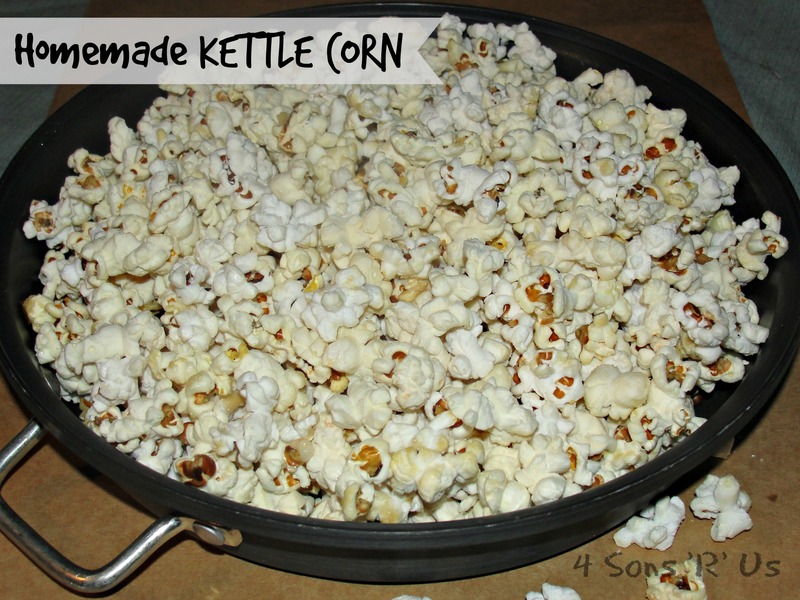 I don’t know how the word’s never gotten out about how easy it is to make your own actual ‘kettle corn’ with only four ingredients. (It’s like the best kept secret. ever.) That’s right…easy, at home, in a snap. It literally is ‘in a snap’, so you’ll want to have your ingredients prepped as things do move rather quickly from start to finish. Serve these crispy, sweet & salty kernels warm from the pan (although they’re delicious at room temperature too). 1. In a large soup pot, heat the oil on medium high heat until shimmering. 2. Sprinkle the sugar evenly over the oil and give it a quick stir. 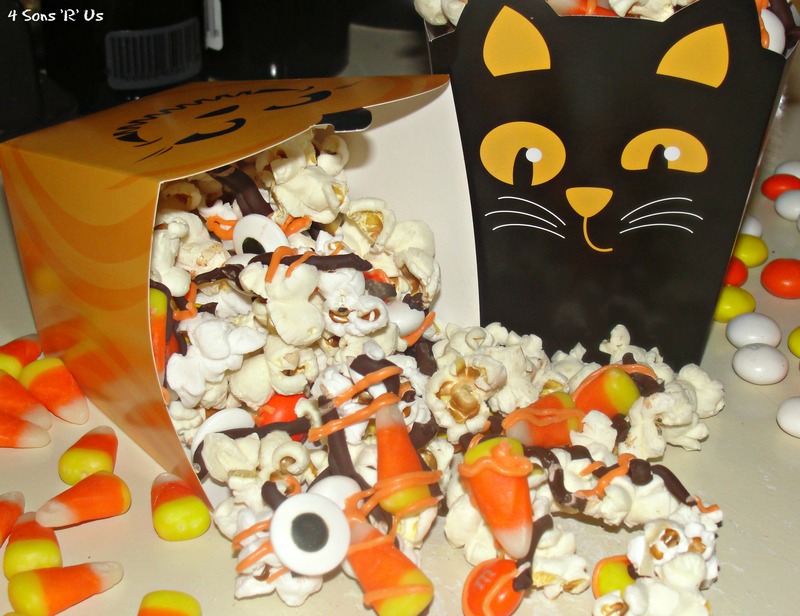 add the popcorn and cover with a lid. slide the pot back and forth over the burner while you hear the kernels popping. this will take a few minutes and you are going to want to use hot pads so you don’t burn your hands. 3. Once you hear the kernels slowing down remove the pot from the heat and sprinkle in a little salt. toss well, taste and add more salt if needed. Posted in Recipes and tagged popcorn, snack. Bookmark the permalink. By popcorn experiment # 4, the sons and I had had enough spicy seasonings and were ready to venture back into sweeter waters. Obviously, ‘cinnamon roll’ popcorn was a must-try. The smells coming from my stopve-top and oven were incredible. With that first mouth-watering bite we discovered the finished product didn’t disappoint. It actually tasted like a cinnamon roll (but with crunch!). Who knew?! In fact, it was soooo good, that we bagged a second batch up and gave it out to family & friends as late Christmas gifts. Sorry for my lack of picture planning. My camera battery died before I could nap a picture of the drizzled white chocolate topping. This second batch didn’t stick around long enough for me to get one afterwards either. Little popcorn monsters! Seriously though, this is the next big thing (at least in the popcorn world). 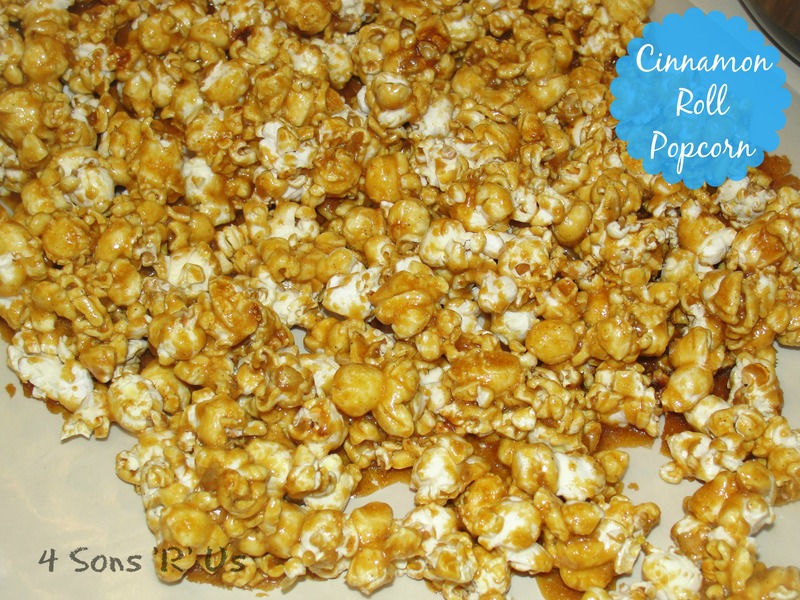 It is completely amazing: buttery, crunchy, caramel popcorn with a burst of cinnamon and a drizzle of white chocolate. 1. Preheat the oven to 250 degrees. Grease two large rimmed baking sheets and set aside. 2. Place the popcorn in a really large bowl (or two separate large bowls if you don’t have an extra big one). 3. In a large saucepan over medium heat, melt the butter. When melted add the brown sugar, corn syrup, and cinnamon. Bring to a boil while stirring. Once the mixture starts boiling, reduce the heat to medium-low and simmer, stirring often, for 3 minutes. The mixture will be slightly thickened. Take the pot off the heat and stir in the vanilla and baking soda. The mixture will bubble so be careful. 4. Pour the caramel over the popcorn and mix until the popcorn is evenly coated. 5. Turn the popcorn out onto the baking sheets, spreading into an even layer on each sheet. Bake the popcorn for one hour*, stirring and tossing every 20 minutes. Move the bottom tray to the upper rack and vice versa each time you stir. 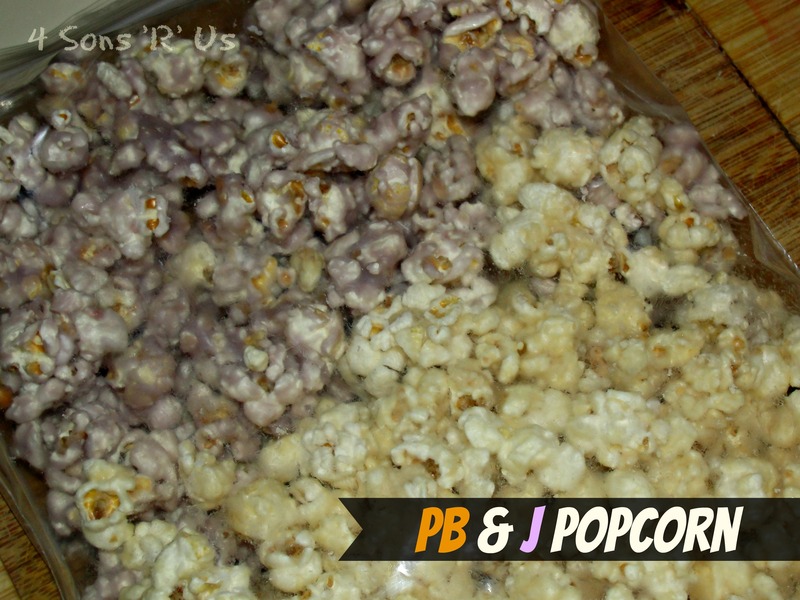 The popcorn will deepen in color and harden a bit as the caramel bakes and sets. 6. When the popcorn comes out of the oven, scrape it onto an even layer of parchment or wax paper. 7. Drizzle the white chocolate over the top (using the tines of a fork to drizzle it across or pour the melted chocolate into a freezer quart-size ziploc bag and snip a corner to drizzle). 8. Let the popcorn sit until white chocolate is set, 30 minutes or so. Break into pieces. Try not to eat the entire batch. I’m not kidding. * If you like a bit of chewiness to your toffee-like popcorn, bake it for 40 minutes instead of the full hour. Posted in Recipes and tagged caramel popcorn, cinnamon roll, cinnamon roll popcorn, popcorn, white chocolate. Bookmark the permalink. Calling all popcorn lovers! If you, or someone you know, loves the crunchy little snack you’ve got to check out this easy seasoning recipe. This gem was popcorn experiment # 3. And might I say, it was well worth the wait. It does have a nice kick to it, but lessen the Cajun seasoning to create a more mild version. Make a batch, grab a bowl, and dig in while you enjoy some qt with the family. A handful of popcorn can make any thing more memorable. 1. Pop popcorn according to package directions, and transfer to a large bowl. 2. Combine the melted butter with either the lemon or lime juice. Slowly pour them evenly over the popcorn and then stir to completely coat. 3. Combine the Cajun seasoning and grated cheese. Sprinkle them evenly over the popcorn and again, give it a good stir to completely coat. 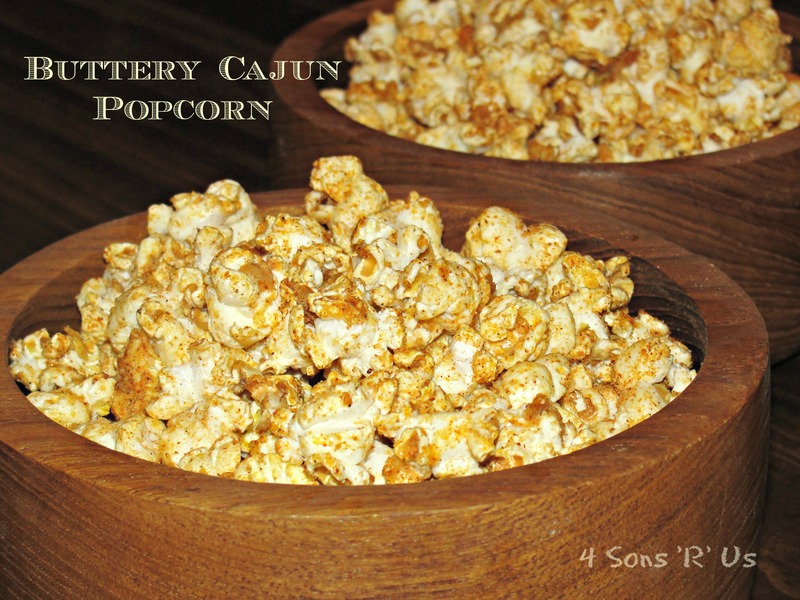 Posted in Recipes and tagged cajun seasoning, popcorn, popcorn seasoning, snack. Bookmark the permalink. Christmas Break. Two whole weeks with the sons without schedules or commitments. In true son’ style we made the second week a giant movie marathon. We watched one each day, and one each night. It was great qt snuggled up with my favorite guys. We enjoyed re-watching some of our long-time family favorites and found some new gems to add to our collection along the way. A week long double feature movie marathon meant a whole lot of popcorn. Who wants to watch a movie without munchies? After day 2, plain popcorn wasn’t cutting it. We decided to ‘spice’ it up. This meant a whole lot of experimenting with spices and new popcorn ideas. It was amazing. We might even have a new tradition on our hands. Each movie became it’s own unique experience with everyone looking forward to the ‘special’ popcorn. This week I will be sharing our new favorites that we found. Today is Cheddar Chili Popcorn, and it’s pretty darn tasty. Plain old buttered popcorn is out. Gourmet, flavored popcorn is in. 1. Separate kernels from popcorn, and place popcorn in a large bowl. 2. Melt butter in a microwave safe bowl. 3. Mix the cheddar powder, chili powder, and mustard powder with the butter. 4. Slowly pour the butter mixture over the popcorn, shaking the popcorn as you do it so one spot doesn’t get overly saturated. 5. Let the popcorn cool about thirty minutes before serving. 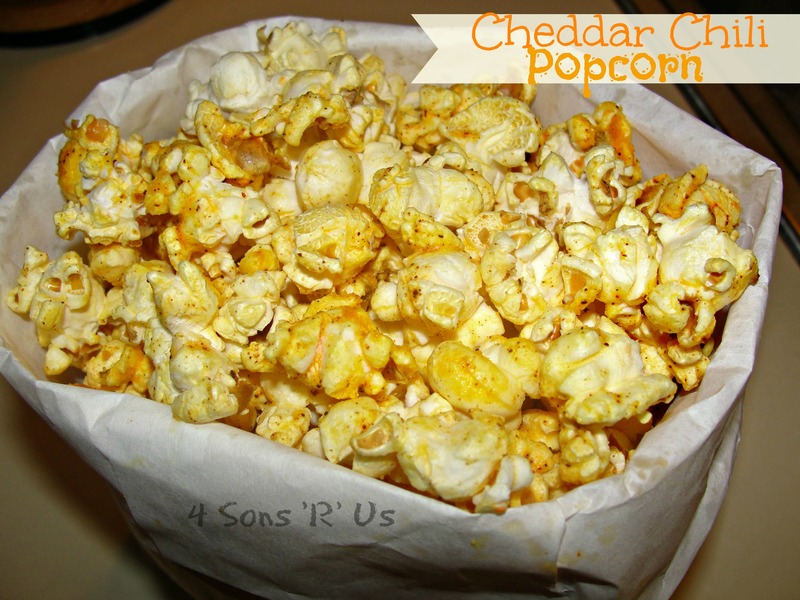 Posted in Recipes and tagged gourmet popcorn, movie night, popcorn, popcorn seasoning. Bookmark the permalink. 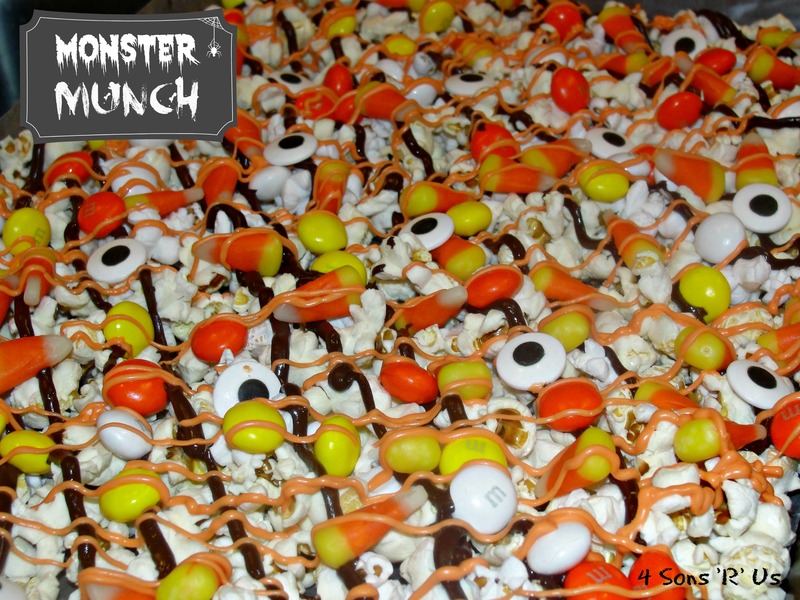 Posted in Holidays and tagged candy corn, Candy Corn M&M's, halloween treat, monster munch, popcorn, Wilton candy melts. Bookmark the permalink.